Though pretty, Persian silktree is weak, fast-growing, invasive and short-lived. 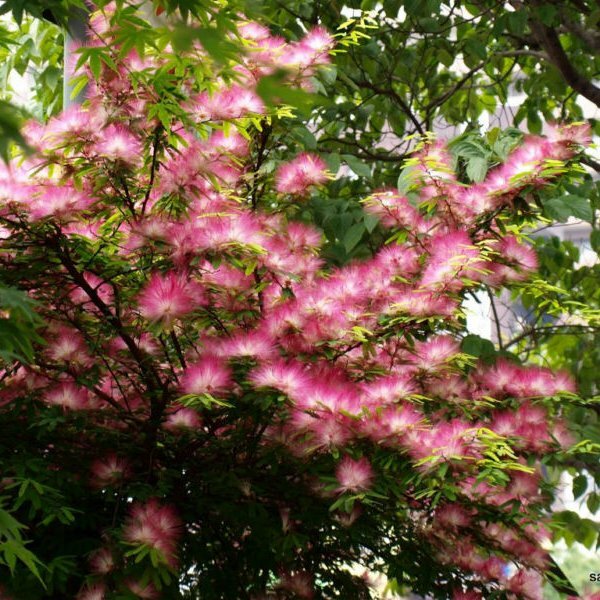 It is a small to medium-sized, hardy, deciduous tree native to central and eastern Asia, which has become naturalized in temperate regions globally. In the United States it has become naturalized in areas from California to New York. 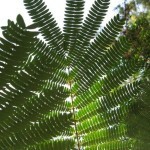 Pleasing feather leaves line the branches in summer and fold up at night. The compound leaves are comprised of many small, oval, leaflets of bright green. Fragrant, puffy, round flowers of white and rose-pink are produced in summer. 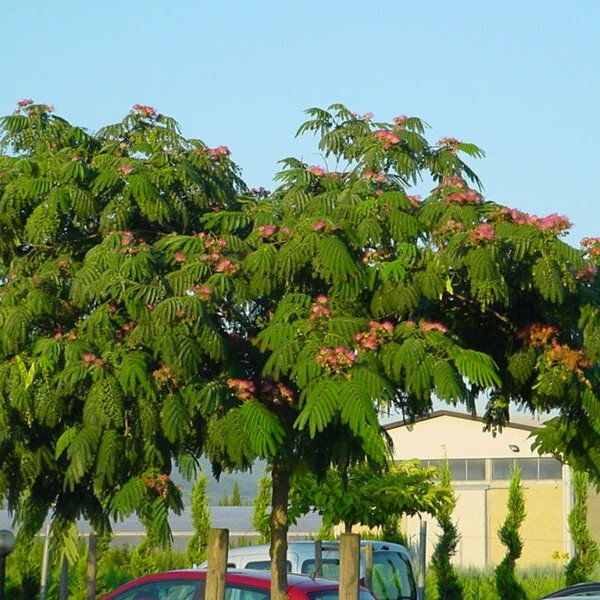 These are visually appealing from afar and the main reason gardeners grow silktree. 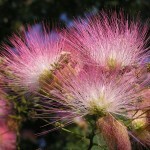 Insects pollinate the blooms and flattened, tan seed pods filled with seed follow. The small seeds germinate readily. Like most invasive species, this tree is quite adaptable. It grows best in full sun and most soils with average to good drainage. It’s hollow branches are so brittle that even thicker ones can be snapped in half by hand. Wind and snow storms are equally damaging. 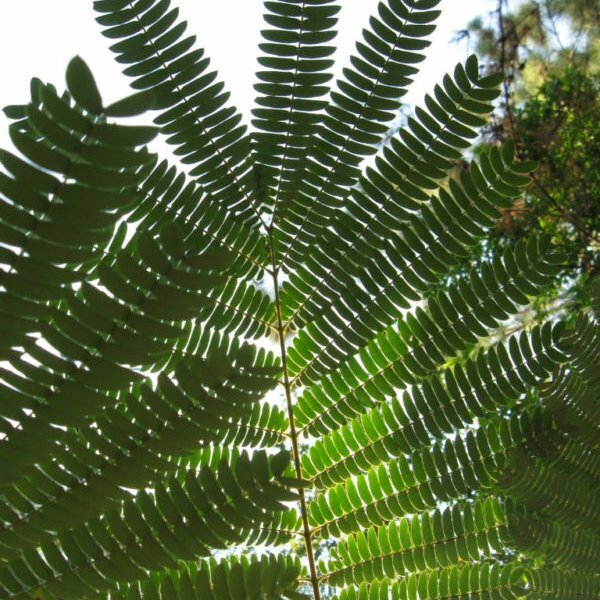 Silktree grows quickly and develops a dome-like canopy that offers dappled shade below. Landscape specimens can be severely pruned annually to maintain a shrubby form. Germination 1. Pour boiling water over seed , let stand in water for 24 hours, repeat process on seed that did not imbibe. Another Method: file or sand through the outer seedcoat, let stand in water for 24 hours. 2. Sow seed 1/8" deep , keep moist. Alternate Treatment, Soak in sulfuric or nitric acid for 15 to 30 minutes and wash under cold water for 5-10 minutes. Then sow.